Our rabbits are handled frequently and are thought of as pets. If at any time you find that you cannot keep or do not want the rabbit, it always has a home here (although the original purchase price is not refundable.) We really mean this – no questions asked. All of our rabbits receive the best care possible and are healthy when sold. If a rabbit has any show disqualifications that we are aware of, we will make the buyer aware of them, but the buyer is still responsible for checking the rabbit before purchasing. If after purchase, you have any questions about the rabbit or need help, please feel free to contact us. Kids: If you want to know more about taking care of your rabbit or want to get together with other kids with rabbits, please look into joining your local 4H rabbit club. We belong to the Radical Rabbits 4H Club in the Tunkhannock area. Please call the Wyoming County 4H Extension office for more information on this club. 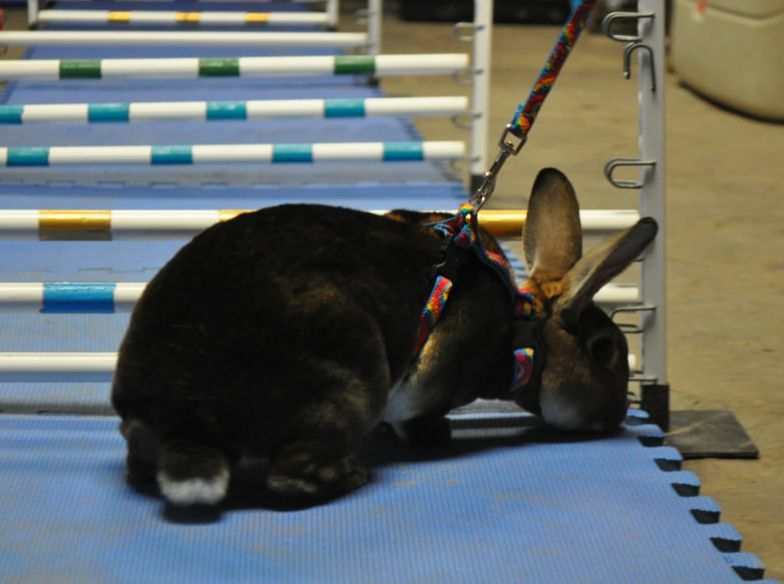 All of our rabbits our handled frequently and are used to children, dogs, cats, and noise. We try to raise them to like being with people. You are welcome to come out and meet our rabbits. As Shannon continues to evaluate her herd, more rabbits will be added to this page. Please check back. Jasper was a show rabbi with 1 Grand Champion leg. He is overweight now. He has a friendly, laid back personality and would make a nice pet. We have not tried Jasper at hopping yet. This was the second hopping lesson for Spiderman. He was not quite sure about 4 bars yet. 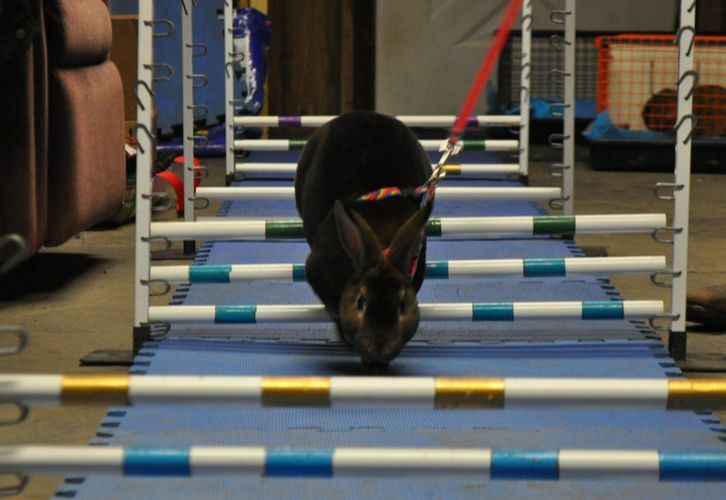 Spiderman is a luxurious black otter Mini Rex with a great personality. He was also a show rabbit who has gotten a little overweight. These are pictures from his second training session. Cinnabunny is a beautiful tort buck with a nice, friendly personality. ​We have not tried Cinnabunny at hopping yet. Friendly, very active, inquisitive. Lillie likes to be petted once she knows you. She likes to climb on people if they are sitting down. She has a big personality and would be better for someone with experience with rabbits. 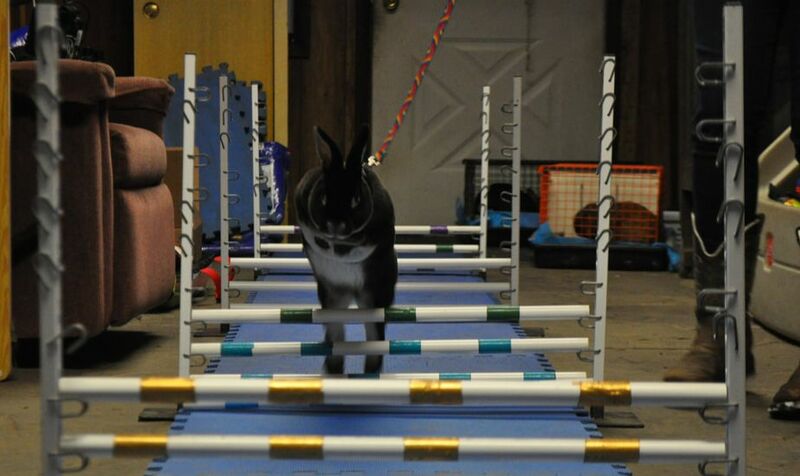 ​Lillie has been started on hopping training and is showing some promising aptitude for it . We will take pictures during the next training session. Oscar has a nice pet personality. He is a really dark castor color. He is being trained as a hopper along with his sister Lillie. Lillie is the faster of the two at the moment, but it is still really early in their training.